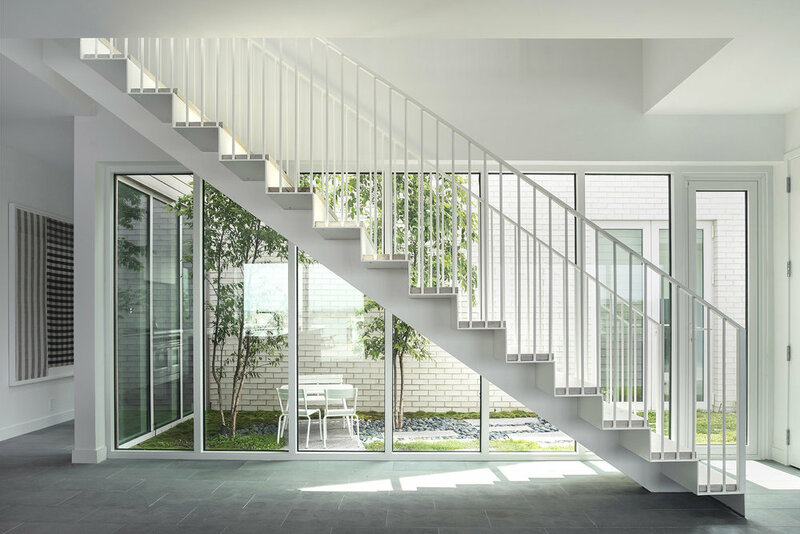 Replacing a house damaged by Superstorm Sandy, this new home is composed as a series of minimal, gabled structures split apart by an interior garden at the core of the ground floor. A street-facing garage is distinguished by white brick, topped by living space on the second floor. 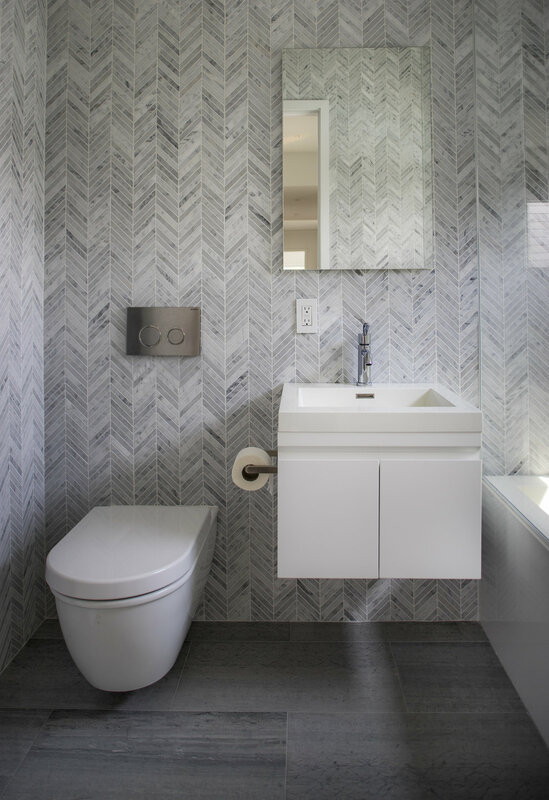 The volumes of the house are wrapped in whitewashed cedar siding in shiplap pattern. Facing Jamaica Bay, the rear of the house is oriented with its wide face to the water. The main social space of the house, an open kitchen and living room,flows out to a swimming pool and deck at the same level. 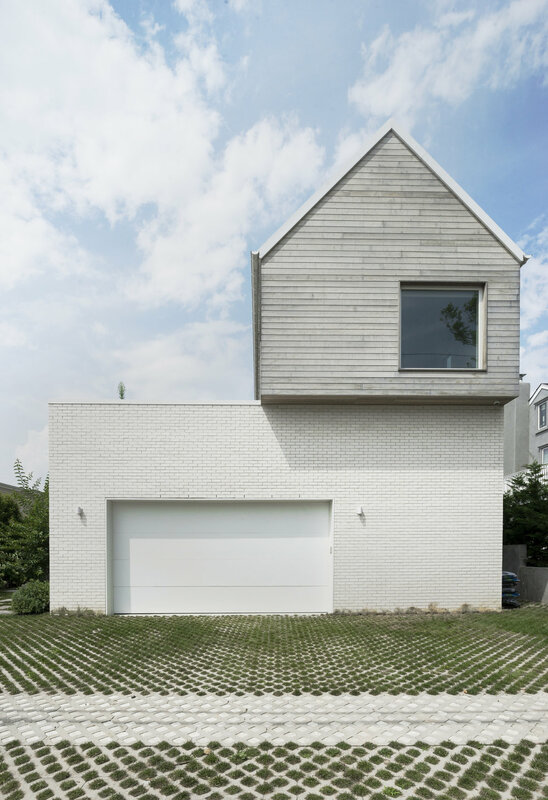 Replacing a house damaged by Superstorm Sandy, this new home is composed as a series of minimal, gabled structures split apart by an interior garden at the core of the ground floor.